Ethiopian Airlines Group CEO Tewolde Gebremariam on Monday said that investigation on the recently crashed Ethiopian plane that killed all 157 people aboard is "well underway." "The investigation of the accident is well underway, and we will learn the truth," Gebremariam said, adding that "many questions on the B-737 MAX airplane remain without answers, and I pledge full and transparent cooperation to discover what went wrong." Amid ongoing investigations, recent reports indicated that despite Ethiopian Airlines is among the first to install a training simulator on the new Max 8, the captain of the crashed Flight ET-302 was not trained on the simulator. However, Gebremariam stressed that Ethiopia's flag carrier has been providing the training effectively. "As it is well known in our global aviation industry, the differences training between the B-737 NG and the B-737 MAX recommended by Boeing and approved by the U.S. Federal Aviation Administration (FAA) called for computer-based training, but we went beyond that," an Ethiopian Airlines Group statement quoted Gebremariam as saying on Monday. 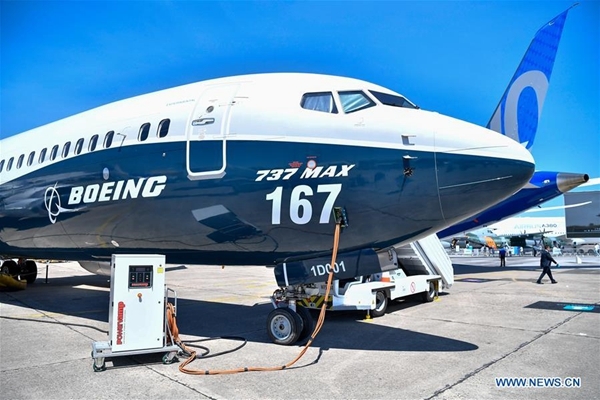 According to the CEO, after the Lion Air accident in October last year, Ethiopian pilots who fly the Boeing 737 Max 8 "were fully trained on the service bulletin issued by Boeing and the Emergency Airworthiness Directive issued by the USA FAA." "We are the only airline in Africa among the very few in the world with the B-737 MAX full flight simulator. Contrary to some media reports, our pilots who fly the new model were trained on all appropriate simulators," Gebremariam said. "The crews were well trained on this aircraft," Gebremariam said, adding "immediately after the crash and owing to the similarity with the Lion Air Accident, we grounded our fleet of Max 8s." "Within days, the plane had been grounded around the world. I fully support this. Until we have answers, putting one more life at risk is too much," he added. Gebremariam also noted that Ethiopian Airlines flight mechanics are certified by the FAA. Ethiopian Airlines also stressed that it operates with "one of the youngest fleet in the industry, our average fleet age is five years while industry average is 12 years." Ethiopia's flag carrier, which serves more than 11 million passengers annually according to figures from the airlines, has relatively better safety record in the aviation sector with minimal incidents in over 7 decades of its operations. The French air accident investigation authority BEA is investigating the crashed plane's black boxes. ​Ethiopian Airlines Group CEO Tewolde Gebremariam on Monday said that investigation on the recently crashed Ethiopian plane that killed all 157 people aboard is "well underway."